Mint’s sonic world is purposely warm and inviting, based on gentle electronic textures, occasionally broken beats and charming melodies. This unthreatening approach is further reflected in many of Murray Fisher’s title choices, and continues to define his work. 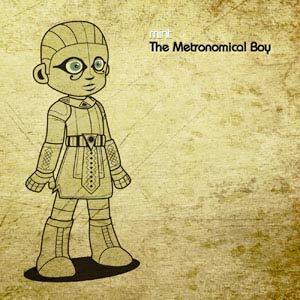 With its embedded story and its soft approach, The Metronomical Boy could almost be subtitled ‘An introduction to electronica for children’, yet it doesn’t take away the fact that Mint creates some wonderfully engaging electronic music.